Saudi dissident and Washington Post columnist Jamal Khashoggi went missing in Turkey last week. The outspoken critic of Saudi Arabia’s war on Yemen walked into the Saudi consulate in Istanbul at 1 pm on Tuesday, October 2, to obtain documents for his upcoming wedding. Within two hours, Turkish security officials now say, Khashoggi was dead—assassinated by a team of Saudi agents. Saudi officials deny the allegations, and it’s unclear how Turkish officials—some of whom have spoken to news outlets on the condition of anonymity—concluded that Khashoggi had been killed. But as Reuters reported Wednesday, two of those officials say that Khashoggi’s Apple Watch has factored into their ongoing investigation. Data from Khashoggi’s watch could very well shed light on what happened to him inside the consulate. Fitness trackers have recorded all three forms of data during instances of violent crime. Earlier this year, police in San Jose, California, used data from a murder victim’s Fitbit to identify the eight-minute window in which her heart rate had spiked, slowed, and finally stopped—timepoints they cross-referenced with video footage to place her accused murderer at the crime scene during the same period. In 2017, a woman running in Seattle’s Golden Gardens Park stopped to use the restroom when she was assaulted by a man hiding in a bathroom stall. She fought back and managed to escape. The GPS on her Garmin Vivosmart watch recorded the violent encounter in the form of jagged red lines, overlaid atop an aerial view of the park’s restroom. And in 2015, Connecticut police used activity data from a murder victim’s Fitbit to show that she had been walking around her house at the same time her husband claimed they were both being attacked—evidence that led investigators to question the husband’s account of his wife’s death and place him under arrest. In other words: Data from Khashoggi’s watch could very well shed light on what happened to him inside the consulate, corroborating the claims of Turkish officials—or contradicting them. In 2015, investigators in Pennsylvania used data from an activity tracker to show that a woman, who claimed to have been sexually assaulted during a break-in, had been walking around when she told police she had been asleep. Fitness trackers and smartwatches are far from perfect witnesses. They can mistake hand-movements for footsteps, and their optical heart rate sensors are notoriously finicky. But newer models are more accurate and increasingly more capable. Apple’s first generation wearable checked in on the wearer’s heartbeat every ten minutes—and only if they weren’t moving. 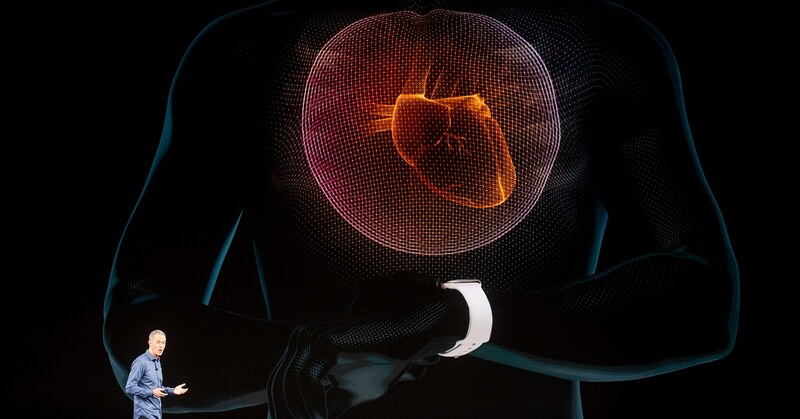 The latest iteration of the Apple Watch keeps constant tabs on your ticker, and can even monitor for abnormal heart rhythms. But in the investigation over Khashoggi’s disappearance, compelling evidence, physical or otherwise, has yet to emerge. What traces do exist—flight logs, surveillance footage, whispers of a bone saw—hint at foul play, kidnapping, and perhaps a grisly end. Smartwatch data alone might not be able to determine what really happened, but as more and more devices continue to accrue new and better tracking abilities, the day when it is could be fast approaching.